Director On Call — Director On Call Wins CAM-X Award of Excellence for 16th Year! Director On Call Wins CAM-X Award of Excellence for 16th Year! 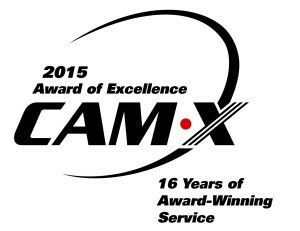 At the CAM-X 51st Annual Convention and Trade Show held at the Hilton Doubletree in Charleston, South Carolina, Director On Call was honoured with the exclusive 2015 CAM-X Award of Excellence for the 16th consecutive year! The award is presented by the Canadian Call Management Association. The calls are judged using various criteria including response time, accuracy of the call, knowledge of the account, etc. Our President Brad Frenchhas this to say; "It is incredible that we have been able to deliver incredible service for 16 consecutive years. Our team works extremely hard to provide top in class service and this award displays that we have achieved this yet again." “The CAM-X Award of Excellence is a proven benchmarking program that enhances customer service for the Telephone Answering Service Industry throughout North America and the world." says CAM-X President Debbie Iacovone. "Technology advancements have made it possible to meet a variety of client needs yet it is the agents who take the calls that determine the overall customer satisfaction levels. The CAM-X Award of Excellence ensures agents not only meet the consistent, professional service levels clients demand, but exceed them. Since the inception of this Awards Program member participants have seen these service levels soar. I congratulate Director On Call for their achievements and commitment to excellence."